Set/3 Flowers with Bees Picks for Gypsy Miniature Fairy Gardens. 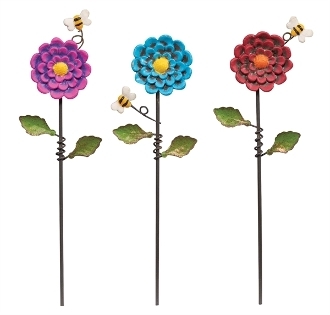 Full Description: Add a pop of color to your mini garden with this bold set of flower picks. Each flower even features a tiny bumblebee! Made of resin and metal with all-weather paint.